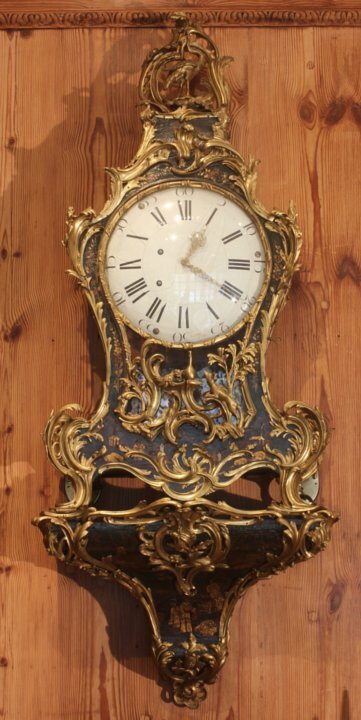 Very large Louis XV lacquer and ormoulu cartel clock with musical works and ormolu hands of exceptional quality. See page 64 of the catalogue of the Musée International d'horologerie de la Chaux de Fonds Suisse for a very similar clock lacking the base. Another, also without its base, with movement signed Pierre Jaquet-Droz is Nº 9 in the Catalogo de Relojes del Patrimonio Nacional.